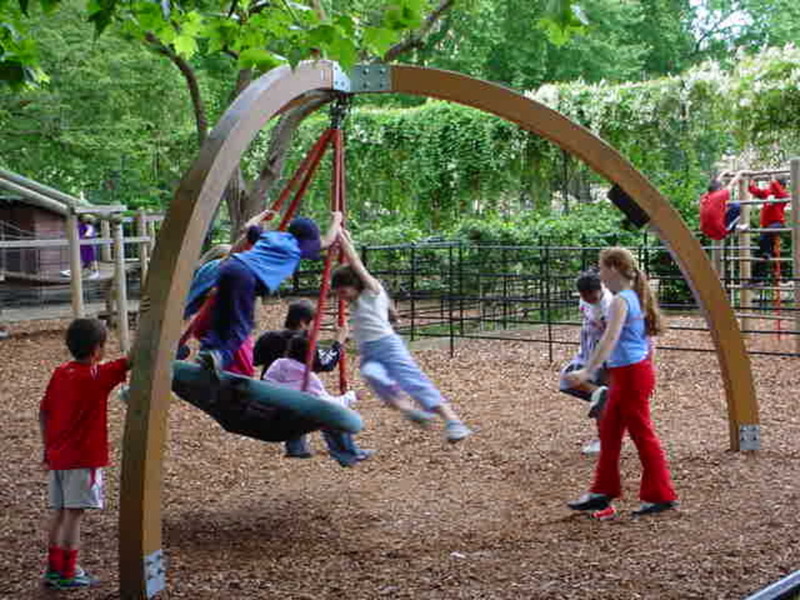 Coram's Fields is a special place for children where adults are allowed in only if accompanied by a child. Tucked away in the city centre it covers five acres and contains a park, playground and small menagerie. The name refers to Thomas Coram, the 18th century philanthropist who set up a Foundling Hospital on the site. The animal enclosure holds goats, sheep, pigs and rabbits. Children can splash happily in the paddling pool, swing on the climbing frame and play in the huge sandpit while adults chill out at the café. Come and visit this charming enclosure, where even the most active of children will be captivated by this wonderful adventure playground in the heart of the big smoke. What are the best dining options near Coram's Fields London? Coram's Fields gyms, sporting activities, health & beauty and fitness. The best pubs near London Coram's Fields. Coram's Fields clubs, bars, cabaret nights, casinos and interesting nightlife. Where to have your meeting, conference, exhibition, private dining or training course near Coram's Fields. From cheap budget places to stay to luxury 5 star hotels see our discounts for Coram's Fields hotels, including Bloomsbury Park Hotel London from 82% off.